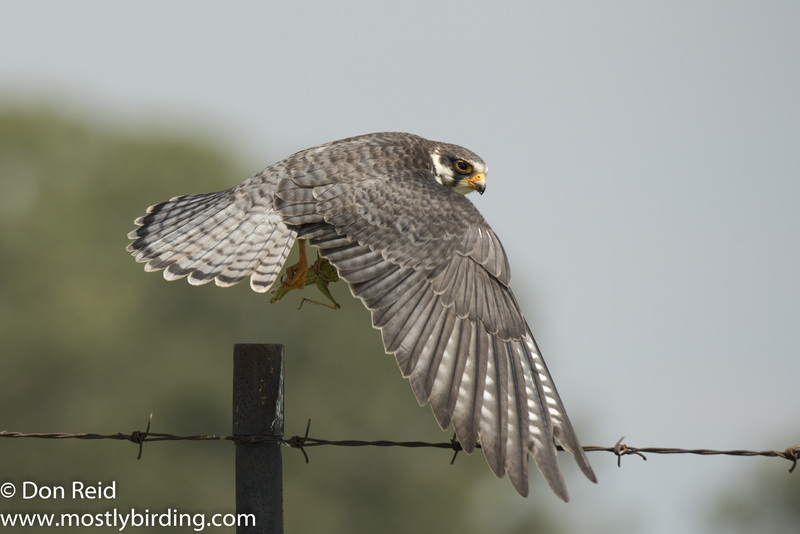 Thousands of Amur Falcons grace Southern Africa with their presence from around late November each year, departing during April/May. The journey it undertakes to escape the harsh winter of its breeding grounds in Mongolia, northern China and North Korea is astounding, beginning with an initial migration to northeast India where they gather in staging areas before commencing the long flight to Africa. They can cover up to 1000 kms per day during this stage. 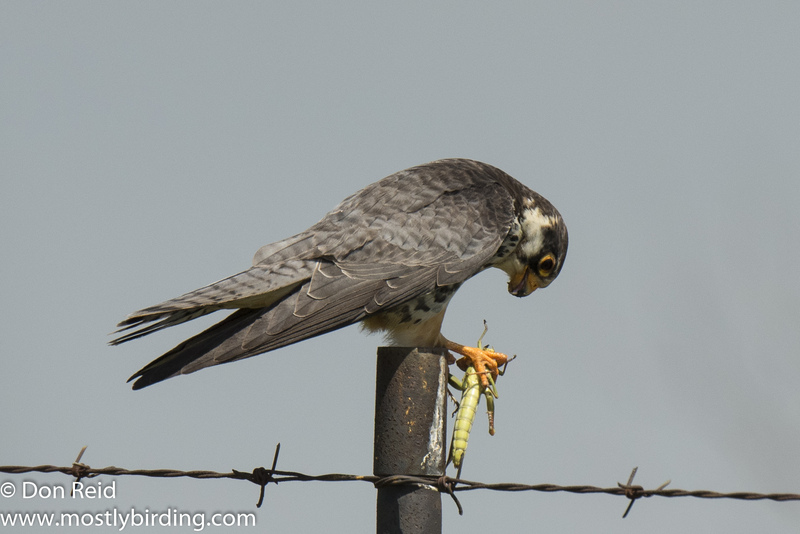 Amur Falcons are a familiar sight when birding/atlasing in the north-eastern parts of South Africa, particularly in the grassland areas, where they regularly perch on power lines and telephone lines in numbers, ever on the lookout for their favoured prey – termite alates and grasshoppers. Less common in the southern parts although I have come across them in the Southern Cape not far from our second home in Mossel Bay. 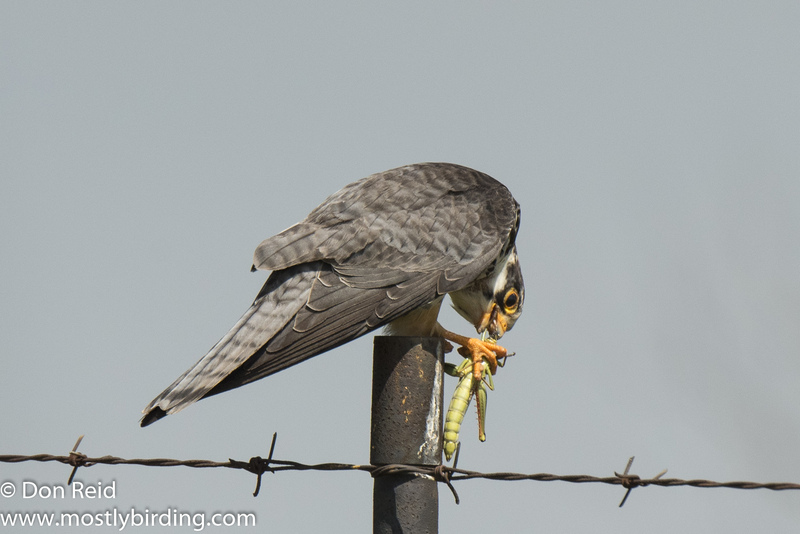 During March this year I had been out atlasing in the grasslands south of Delmas and had seen a few Amur Falcons along the way. Heading homewards around midday along a gravel back road, the Amur Falcons were suddenly numerous, probably drawn by a good supply of insect food – most were perched on low fences and posts due to the lack of overhead power and other lines along the road. 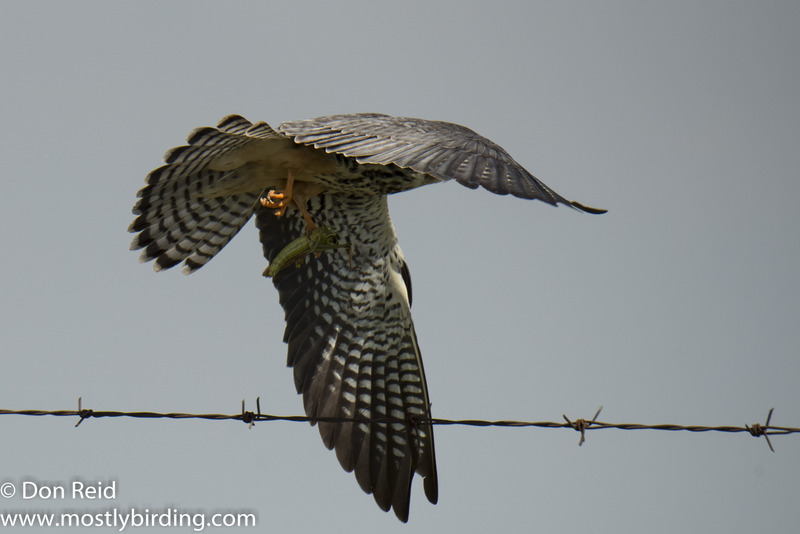 This seemed like too good a photographic opportunity to pass up, with the Falcons being more or less level with my line of sight and with fairly good light conditions for the time of day – the cloud cover served to soften the harsh sunlight. 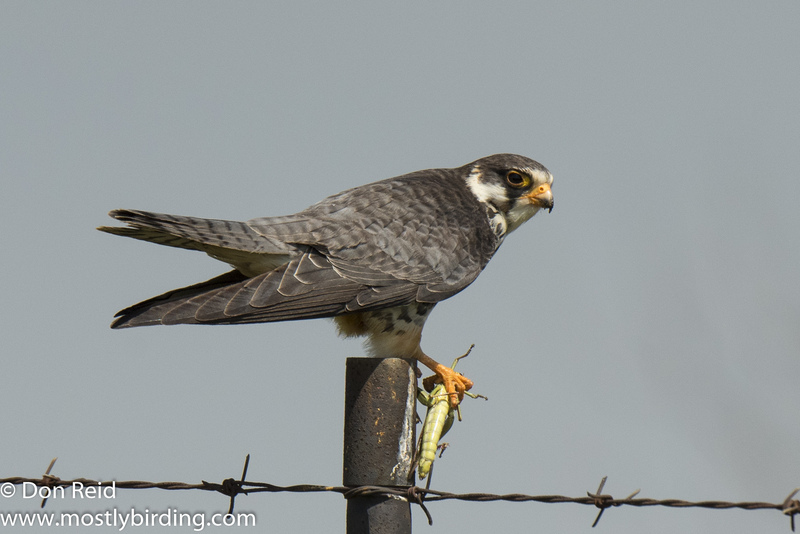 The only problem was the skittish nature of these small raptors – as soon as I slowed and stopped they would fly off, only to tease me by perching on the fence a short distance further. 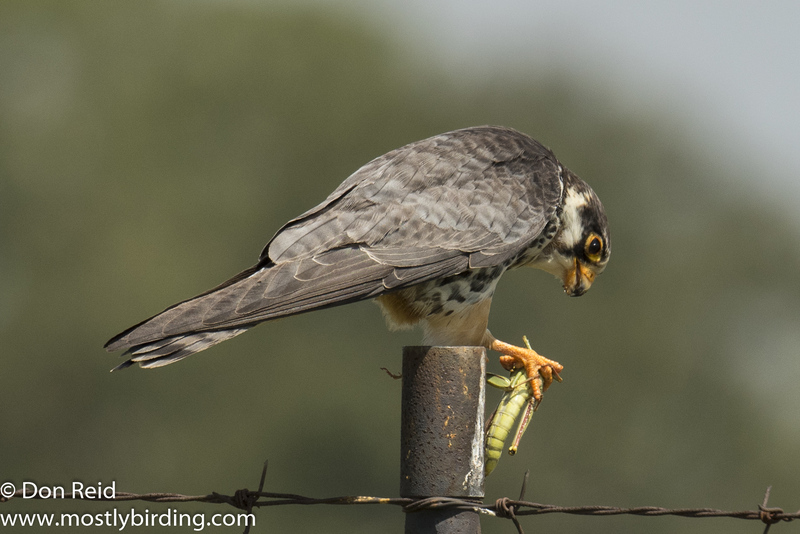 I was on the verge of giving up when a female Amur flew down and perched on a fence post just ahead, clearly with some sort of prey in her talons. I crawled my SUV closer, hoping its diesel engine would not scare the falcon away, but she was so pre-occupied with her catch that she just gave me a glance and carried on pecking at the grasshopper she had just caught – this gave me the opportunity to rattle off a series of shots, including a few as she flew off. By this time the Amur was clearly a bit uncomfortable with my attention and she flew off, gaining height rapidly while still clutching the grasshopper until I could barely see her. 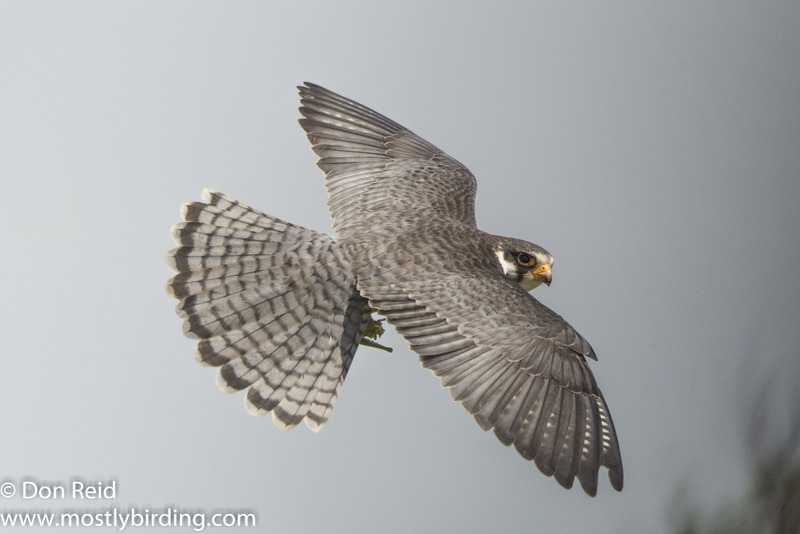 The photos revealed the magnificent patterns of feathers on the upper- and under side. 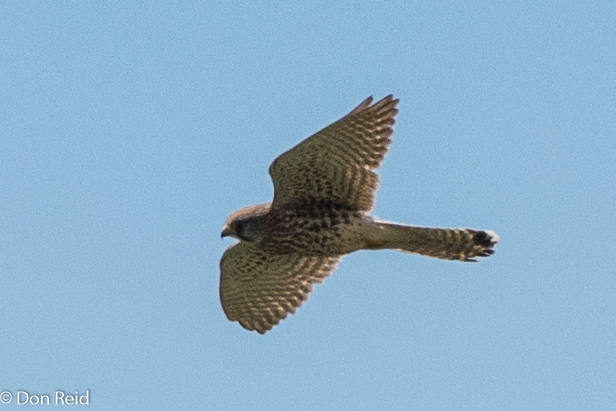 It’s encounters such as this that make birding the amazing pastime it is. These are surely prize-winning photographs! What a wonderful series! Incredible photographs! And the distance they travel is mind-blowing! Amazing ! So interesting and wonderful photos too. Thanks.